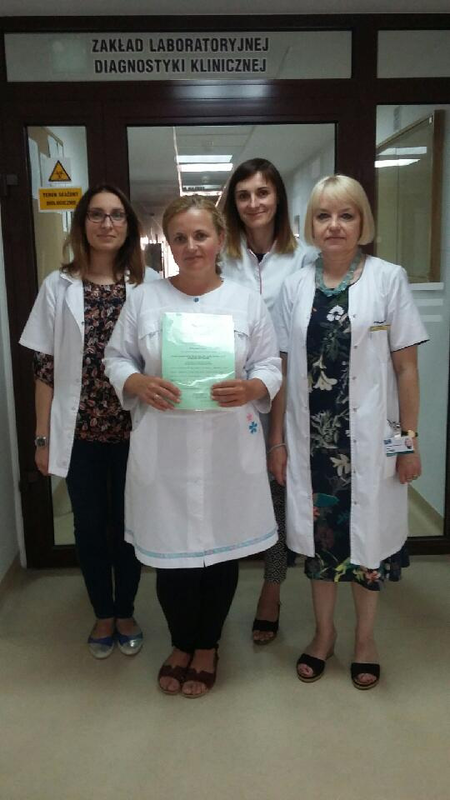 Last week an applicant Zoryana Lavro, MD from the University of Lviv attended our training. It was a great opportunity to exchange experiences and to collect even small bits of information about how laboratory diagnostics looks like in Ukraine. The language barrier did not stop us from communicating, we talked in three languages: Polish, English and Ukrainian :). I think that our offer is especially attractive for our eastern neighbors. Currently, I am applying for free accommodation in our University's dormitory for future applicants, which will make our offer even more encouraging. In my opinion, EFLMLab X platform is a very good idea and the program should be continued.